The European Union has listened to the United Kingdom before presenting its plans for “Better Regulation”, writes David Cameron, which represents progress towards a leaner, less bureaucratic EU. 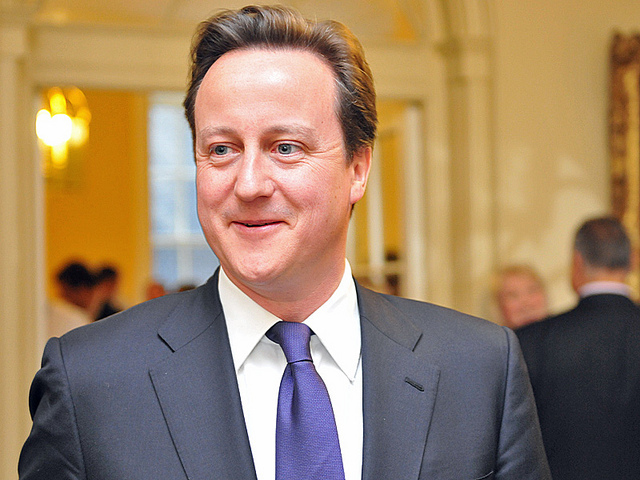 David Cameron is Prime Minister of the United Kingdom. We know that EU rules can all too often thwart firms’ best efforts to grow their business and to create new jobs. The UK has not been shy in pushing for the change that is long overdue and we have led the debate in Europe about reducing the burden on business. That’s why, as part of our long term economic plan, I set up a taskforce of British business leaders in 2013 to look at the kind of reforms that we need to sweep away poorly-understood and ineffective rules and do away with the creep of similarly pointless regulation in the future. That taskforce prepared a report, Cut EU Red Tape, which has helped to drive forward real progress in Europe and we’ve worked hard to build consensus in Brussels. The taskforce has shown its clout in Europe, with 13 of its recommendations already being taken forward by the Commission. Frans Timmermans, the First Vice President of the European Commission, has outlined how he hopes to take forward measures to stem the flow of the kind of regulation coming out of Europe that puts an unnecessary burden on business. These are measures we’ve been pushing for and our work is paying off. Mr Timmermans’ report is a significant step in the right direction towards getting the job done and it responds to many of the taskforce’s recommendations. It brings proposals that will truly reduce the burden of new regulation, particularly those that can bog down the smallest firms. It also calls for more independent scrutiny of proposals, and properly assessment of costs throughout the legislative process. The Commission has also pledged to look again at existing rules to see if it can find smarter, cheaper and less burdensome ways of regulating. I am pleased to see key elements of the UK’s better regulation principles, such as better public consultation, improved impact assessments and lighter regimes for small businesses, reflected in the Commission’s proposals. This is progress on our reform agenda. I said very clearly in my speech on the EU in January 2013 that we need to create a leaner, less bureaucratic Union, relentlessly focused on helping its member countries to compete. And these measures will help to achieve that. It shows that the European Union does listen to us and that we can achieve success on issues that really matter to UK business. Now we need to see proposals turned into action and we will keep the pressure up, backing businesses that are creating the jobs that ensure more people have the security of a pay-packet and help the economy grow. Examples please – instead of blather. What burden – specify it – I own various companies in the Uk – I see no “burden from Europe”. “particularly those that can bog down the smallest firms” – I own a small company – Euro regulations have zero impact. ” lighter regimes for small businesses” – for example? Compete with who? Note: the UK de-induustrialised on a large-scale under Thatcher and in the 1990s under Thatchers heirs (John Minor and B.Liar). Much of the industry went to China. Is this what you meant? bit more de-industrialisation? As readers can see – it is not for nothing I label the UK prime minister Moron-Con – a moron and a confidence trickster & liar. Well how about these specific examples. The Working Time Directive – estimated to cost UK business £3.5bn, of course we originally had opt outs but these were largely removed by the ECJ and the rulings in the Simap, Jaeger and Stringer cases 2001 – 09. As someone who has worked 24hr shifts let me tell you it is not so much the 48 hour restriction that causes the issues as the rigidity of patterns. They are inherently costly, inefficient and certainly where I was working massively unpopular with staff (probably why 3m UK workers have opted out). As for providing a service for the customer, well that really doesn’t come into the equation. The Reach Directive, Estimated by the Journal Nature to cost 9.5bn euro. The European Chemical Industry Council (representing 27,000 companies) has stated that the directive will drive small and medium sized concerns out of business costs both jobs and economic activity. The Burden Barometer (British Chamber of Commerce) 2010 report EU regulation amounted to £7.5bn. I haven’t seen a massive cut in EU red tape since that time, indeed the Regulatory Policy Commission estimate that the cost of new EU legislation for 2013 alone amounted to an additional £1.3bn pa on British business. Perhaps most up to date is the campaign being waged by Mr Timmermans against EU regulation under instruction from President Juncker. But given that EU figures show that between 2000 and 2013, 52,183 EU directives and regulations were passed he has plenty of work to do. Certainly the EU itself seems to accept that they are adding significantly to the costs placed on business. Given that you haven’t noticed any of these you must just be lucky with your endeavours. While I would agree totally that we should have more manufacturing in the UK, I would query your view that as the 7th largest manufacturer in the World by value we have deindustrialised. (House of Commons Library report 26/06/14 – UK output $233bn) Indeed in this sector we are currently third in the EU behind Germany and Italy. However as we all know services (which the EU has still not managed to complete despite over 20 years since the original treaty was signed) are our major forte which means that we are the second biggest economy in the EU. Then the great zero hours contract debate. The ONS record 31.1m workers in the UK, and say 697k are on zero hours contracts, so 2.2% of all workers. The ONS believe through surveying that about a third of workers under these contracts want more hours, the remainder being content with the hours available and flexibility. That means out of a workforce of over 30m approximately 232k are unhappy. I am sure there are more than that in full time employment dissatisfied with their lot, I know I have been on occasion. Make your mind up, you either own various or one small company! If the former are they trading? Do expand. No blather, please! Whom in this universe cannot agree with Mike ! Well said Mr Parr ! Just come across this “46% (vs 37%) of British businesses said that the costs of complying with the single market outweigh the benefits of being in the EU.” Interesting view from UK business.